Android Office apps are becoming quite popular. Now you can use your Android device to do the same thing you will do on a computer’s office software suite, for instance Microsoft Office. We are talking about editing word documents(doc), filling spreadsheets like in Microsoft Excel and even viewing PDF files right on your Android device. Microsoft Office Mobile is quite popular since many users are familiar with it as they have used its PC version. However, on Android Microsoft does not call the shots. 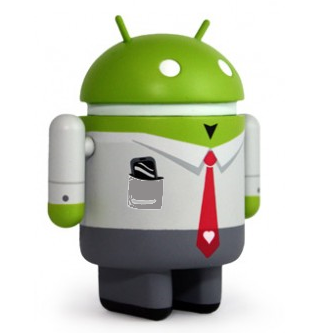 This Android office suite app is quite popular and completely free. No ads to distract you as you work. It is a must have. WPS Office is fully compatible with Microsoft Word, PowerPoint and Excel and supports almost all file formats. So you can carry your work wherever you go. The document and files will look exactly the same as they do on your PC. Key features: What’s more interesting is its support for 47 different languages. It also saves your work on a cloud and you can access and edit them whenever you like. Wireless printing and wireless input e.g. through Bluetooth keyboards is a bonus feature. This app further integrates with cloud storage service like Dropbox and Google Drive to ensure convenience. This app is powered by InTact Technology which enables syncing and sharing of office files between your PC and your device without changing the original file formatting. Key features:It also comes with Sheet To Go, which is quite powerful in data computation and accommodates up to 111 different functions. A user is also assured of total control and access since it supports attachments and even password protected files through its built-in file browser. Integration with email apps like Gmail allows for effortless sharing of documents and files. The user interface is also quite native and thus will be quite easy to handle for Android users. OfficeSuite is also quite popular. First, it is available in 56 different languages and it also supports almost all Microsoft document formats. It has a multiple keyboard shortcuts functionality which simulates the experience on a PC. Key features: Spellchecking is also quite advanced with this app thanks to the Oxford Dictionary of English word lookup feature. You can also view documents as they are with the Microsoft Compatibility Font Pack. With this app, you can now transition effortlessly between desktop and mobile user interfaces. Bonus features include the Integrated File manager and the integration with cloud services. Polaris app is one of the best office app for android has an exceptionally well designed user interface. When you download the app you also get 2 GB free cloud storage. To get extra free storage you need to download the desktop client which further drags and drops documents right into your Polaris Cloud. Revised and edited are automatically uploaded and saved on this cloud. However, also access files and documents from other cloud services. Key features:It is also perhaps the only Office app that has a social media integration feature. Polaris is Chromecast compatible and is optimized for viewing and presenting. The most interesting feature is the camera mode which enables you to take pictures or even videos and add them into your document. This is the first full port of OpenOffice for Android. For this reason, it stands out. It is of very high fidelity and supports spellchecker, hyphenator and thesaurus features. Key features:Multiple font packs are also supported alongside the multiple language capabilities. Being a full port of OpenOffice it supports editing and creation of all file formats you can think of: Write r(its word processor), Calc (spreadsheet), Impress (presentation graphics), Draw (drawing), Math (equation editor) and Base (database). It is quite a handy tool for all your office work. Mobility and portability of office work is more of a necessity for everyone from corporate employees to freelance writers. These apps help you to keep working on the go, wherever you are, whenever it is. So, which app suits your office needs? I know mine.